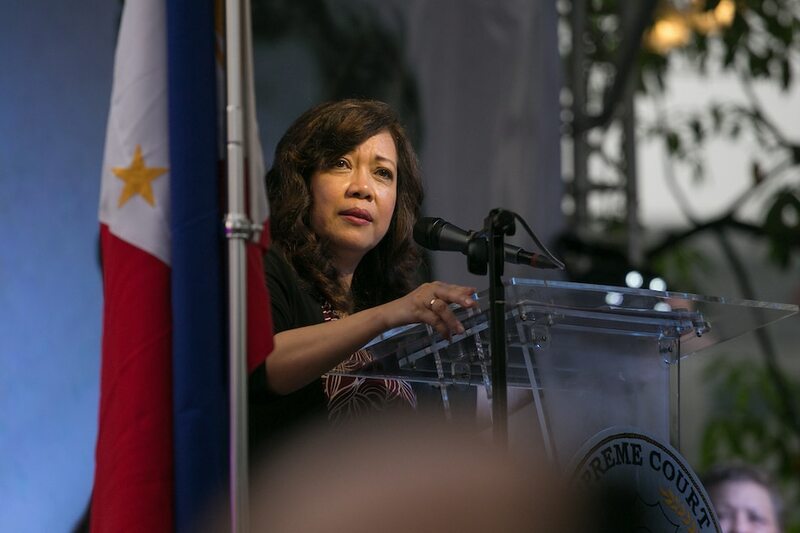 MANILA - (UPDATED) The House justice committee voted Wednesday to prohibit non-members from participating in the impeachment proceedings against Chief Justice Maria Lourdes Sereno. Albay Rep. Edcel Lagman had questioned the rule that only committee members are allowed to vote during ouster hearings, saying: "This is more than an ordinary legislation. This will decide the fate and fortune of an impeachable official." Majority Leader Rodolfo Fariñas however noted that the panel "will never finish" deliberations if all 293 congressmen, including non-members of the justice panel, would be allowed to participate. "You can attend, you can listen to all the discussions here so that you will be already enlightened when you vote in plenary," said Fariñas, who also chairs the Committee on Rules, told Lagman. "But for you to invoke that you can participate and debate and even interject your opinions during a constitutional process, that will be a dangerous procedure." Deputy Speaker Garcia then made a motion not to allow non-members to speak "in the interest of an expeditious treatment" of the impeachment. But Dinagat Islands Rep. Kaka Bag-ao, a member of the justice panel, objected to the motion. "Sa karanasan ko po dito sa Kongreso, mula noong 15th Congress, wala pa naman akong nakitang committee na na-burden sa presence ng non-members na nag-participate sa committee deliberation," she reasoned. Efficient management by the Majority Leader, she added, is the solution to time constraints, not the "denial of the fundamental right to voice or right to participate." Akbayan partylist Rep. Tom Villarin, a member of the independent minority faction, later urged the justice panel to simply let non-members join their committee. Fariñas however interjected: "You want to be a member of the justice committee? Join the majority or the minority. You cannot have your cake and eat it too." "Under our rules, it is only the majority leader and minority leader who can nominate members of committees. You chose to be independent so you do not have any committee assignment." The panel, voting 30-3, then rejected Lagman's bid. The House justice committee earlier voted that the complaint against Sereno was sufficient in form and substance despite the use of newspaper clippings as evidence. The panel is set to determine Wednesday whether or not the case has probable cause, and if the Chief Justice's lawyers should be allowed to cross examine witnesses. Watch a livestreaming of the hearing here.